This is an introductory class to Kali Natha Yoga which is a series of flowing yoga movements and is a deeply healing practice. A Kundalini tantric practice, it is suitable for students of all levels and abilities. Founded by Ma Jaya at Kashi Ashram, feel the essence of the origins and meaning of yoga. Ma Sodashi took her first yoga class in 2001, fell in love, and hasn't looked back. She graduated from the first Kashi Atlanta Classical Yoga Teacher's Training in 2004, and also from the first Kashi Florida Kali Natha Yoga Teacher's Training in 2006. She taught Gentle Yoga at Kashi Atlanta for 5 years, and Chair Yoga at an Atlanta Senior Citizens Center for 4 years. She has also taught Yoga in various venues in Atlanta, and was a part of the Kashi Atlanta Jailhouse Yoga program for women prisoners. 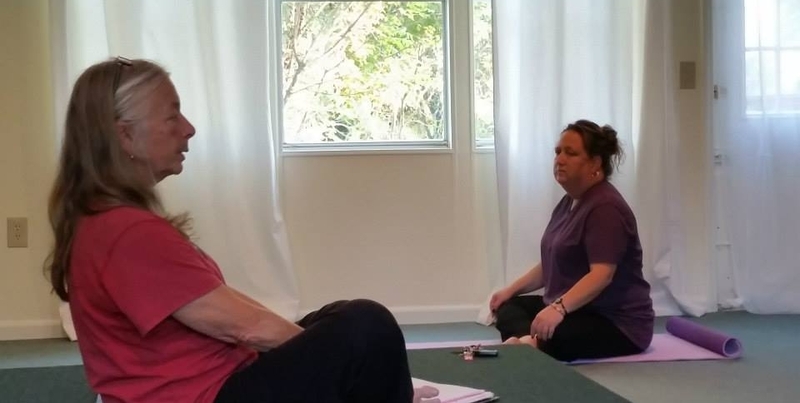 After moving to Kashi Florida in 2009, Ma Sodashi has done substitute teaching at the yoga studio, and is now teaching the Saturday 4pm Kali Natha Yoga introductiory class. She brings a focus of acceptance for students' unique abilities and challenges, and a deep desire to share the peace and heart opening benefits of a yogic practice.